PLACING third in the A Class (130mph) category of the Great Race on debut could be considered an achievement, but Cat Killer’s crew members have learnt from their experience and are hoping to do even better next weekend for the 50th edition of the inter-island race. Speaking to Newsday yesterday, throttleman Lee Pollonais said they encountered a few teething problems last year which hampered their performance. “My driver and I had never raced before – that was our very first race – and at that point in time, we didn’t give the boat a proper mechanical shakedown because we only just got the boat. We didn’t know each other so it was a sort of self-imposed handicap. Now, I’m racing with Gary Johnson and we have always been a good team together and that’s a big part,” he said. 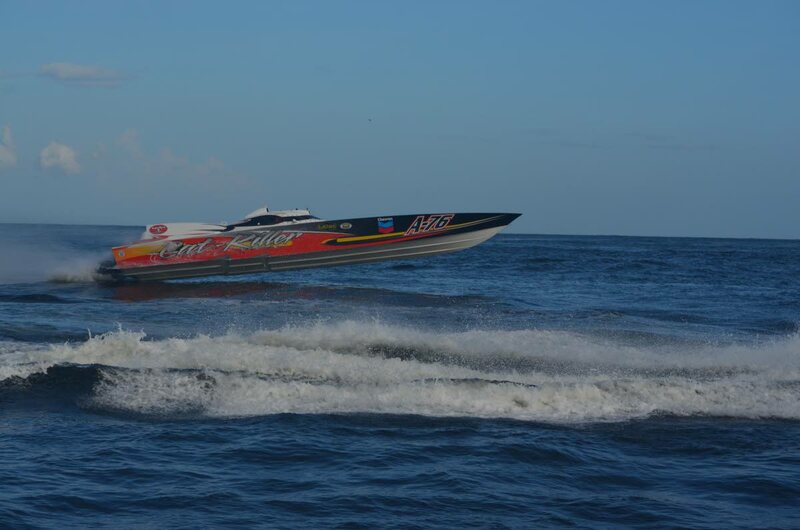 He continued, “Where I am not particularly fond of is the ‘Bocas’ with all the spectators’ boats, it can be quite nerve-wrecking when you reach at that point going at 130 miles per hour with seven other boats. Reply to "Cat Killer keen to better Great Race debut"